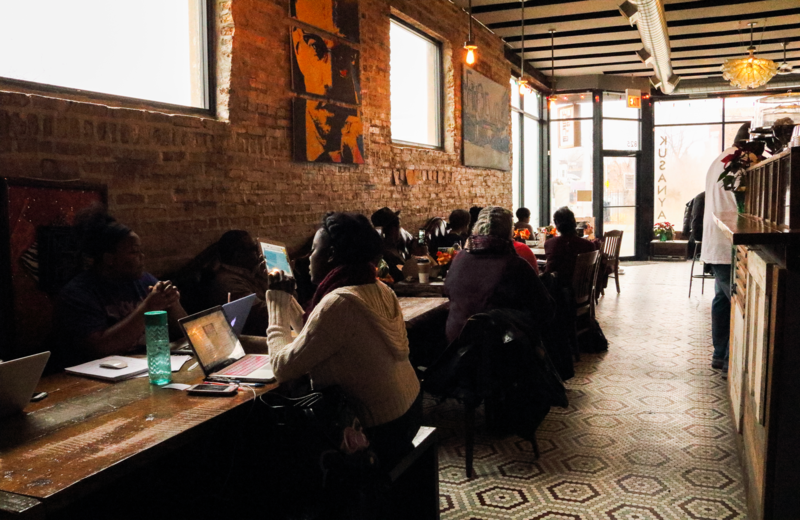 It’s just after noon in Englewood, and light throws itself in bars across the floor of Kusanya Cafe as the door swings open and shut. 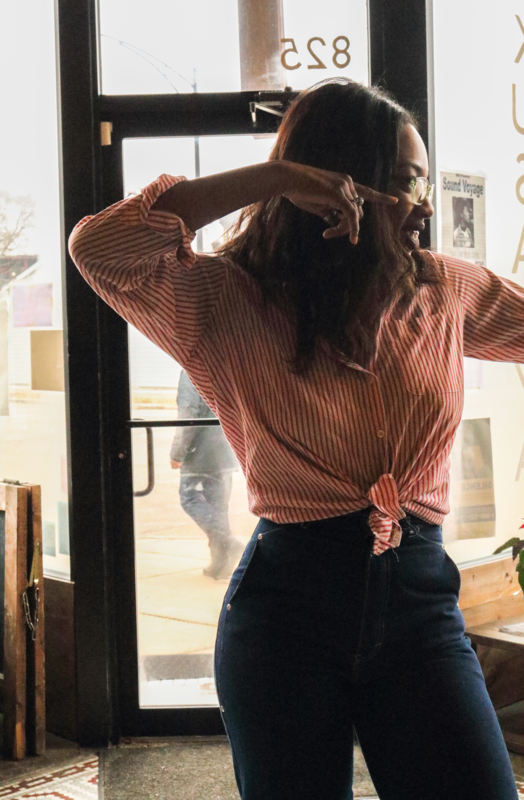 Seated at the front window of the restaurant among light chatter and the clatter of plates, South Side local Shawnee Dez brushes her hair back from her face and goes into performance mode. “I’m gonna sing without a mic because I just messed mine up,” she says to her audience, a small and attentive group composed of family, friends, café staff and community members. They laugh, and Shawnee lifts her chin, launching into her opening number. 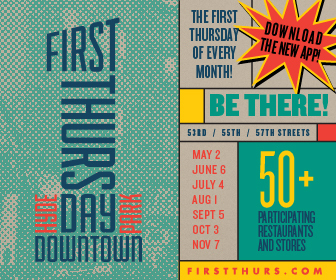 Shawnee is performing at the second Sound Voyage, a music series at Kusanya featuring free lunchtime shows every second and fourth Wednesday through May. The series features artists from a multitude of genres including R&B, jazz, Afro-Latin, Brazilian, and reggae. Today, Shawnee graces us with a dreamy, melodic series of covers and originals—a sound grown from her roots. After plugging her Soundcloud EP, Day Child, Shawnee thanks her mom for teaching her. Perched on a stool nearby, Sound Voyage’s curator Erik Jones listens intently, smiling as he watches Shawnee’s act unfold. The series was born as a podcast by Jones’s production company, the Blue Sapphire Experience. From the beginning, Jones has aimed to expose listeners to sounds they wouldn’t usually hear by combing genres familiar and foreign. “When you’re hearing the lyrics in a language that you don’t understand, it’s something soothing…it’s a different relationship,” he said. 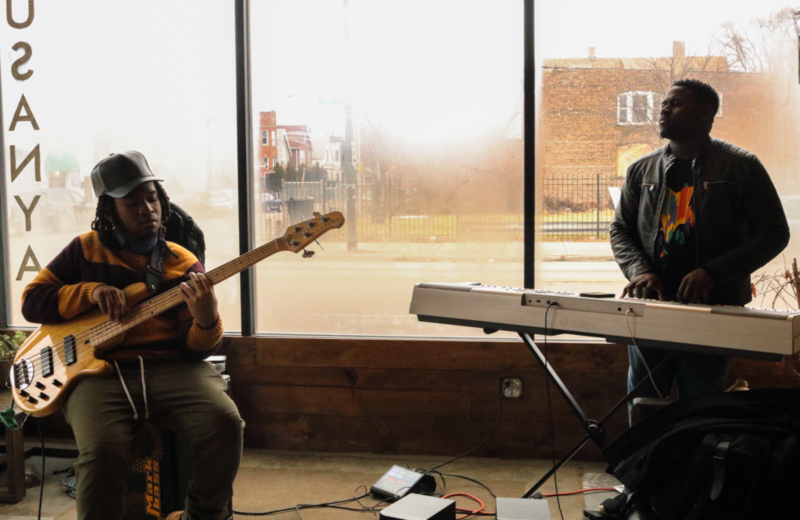 “A lot of times people don’t get to hear reggae, or get to hear Brazilian, so it’s to help give it a more global feel.” Through this live music series in Englewood, Jones said he saw the opportunity to unite local talent and community. 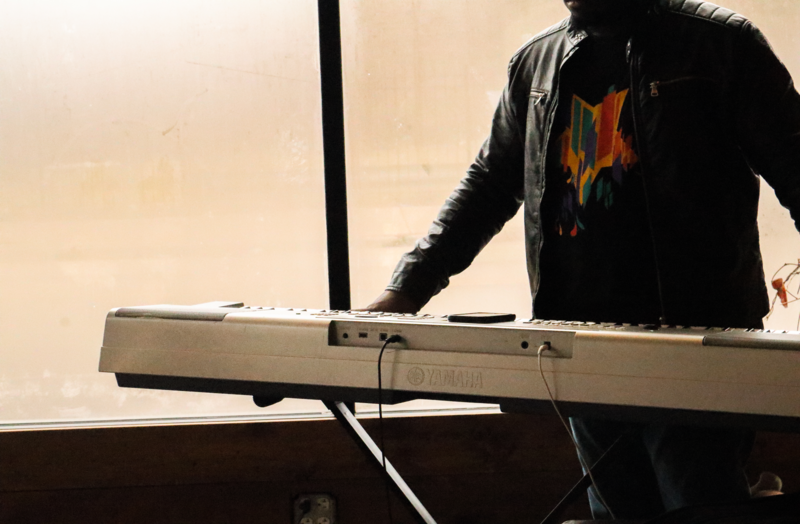 “I would say that Englewood wants to have a musical community,” he said. Discussing what he sees as a neighborhood in the process of change, Jones said: “We’ve got such great organizations…you have the violence, you have some of the poverty, but there are still cells of buildings, there are people rehabbing,” he said. As Shawnee lets her voice trail off on the final note of “Happy Spell,” an original song from Day Child, her audience sits enraptured. Impact hangs like smoke in the air, and the audience rises to meet it with a generous round of applause, which Shawnee accepts gracefully, dipping her head a little in deference. Visible through the window behind her, a bus rolls by, and people come and go. Surrounded by pieces of a community that’s constantly in motion, Shawnee clears her throat to introduce the next song. This is awesome, Sylvia captured the essence of what I’m doing with this series. I truly appreciate you and the paper for helping us feature the music, artists and cafe.